Conversations about the changing world of health, technology, and caregiving. 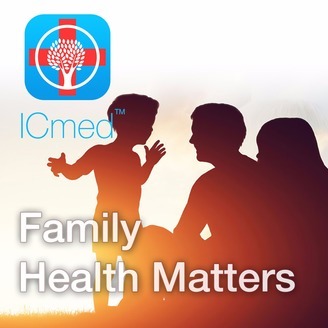 ICmed is the future of your family's health. 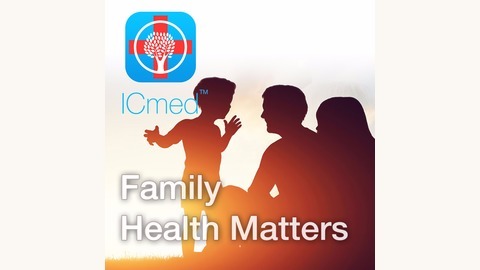 Learn about us at : www.icmedonline.com and download the app: http://apple.co/2gnTBQ3. Dr. Miriam Alexander is a nationally recognized expert on preventive medicine. In this episode, she discusses why most people don't get much benefit from their annual medical exams and explains how you can approach you and your family's health more proactively. Dr. Alexander has more than 25 years experience as an occupational medicine physician, and has overseen employee health for tens of thousands of employees at organizations including Bethlehem Steel, McCormick & Co., and the Yale New Haven Health System. She is also a past president of the American College of Preventive Medicine and a former faculty member of the Johns Hopkins Bloomberg School of Public Health. She currently serves as medical director for employee health at Life Bridge Health in Baltimore and as a clinical advisor to ICMed.